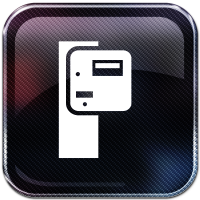 We are a specialized manufacturer of parking management systems. Our products are developed and produced in-house in which only the best components available on the market are used. Each component is thoroughly tested for quality and durability ensuring a solid, state of the art system. Each system can be remotely monitored through a personalized website. Our systems are of modern and stylish design. An elegant appearance comes from the combination of black with metallic grey and stainless steel accents. A logical and intuitively designed control panel results in a highly user-friendly system for operators. By simply searching in the productlist which components are needed you can create your own custom made web based parking management system with just a few clicks.